Here's another recording that was featured not too long ago on another site - in this case Mangue Music, which posted it on January 10 of last year. I hesitated before posting it again here, but in light of my last missive, which dealt with Yaya Bangoura and the fate of Guinean music since 1984, I figured, why not? Kadé Diawara is another Guinean artist who made the transition from state sponsorship under Sekou Touré to the modern era. And besides, L'Eternelle Kadé Diawara (Alpha Mamadou Cissé et Frères AMC 002, 1992) is so darn good, it's worth another listen! At least two more releases followed. Sadly, the story of Kadé Diawara's life doesn't seem to have a happy ending. According to this article, as of three years ago she had fallen on hard times, living off a modest pension and whatever she could scrape up singing at baptisms and weddings. The fate of too many musicians in Africa! 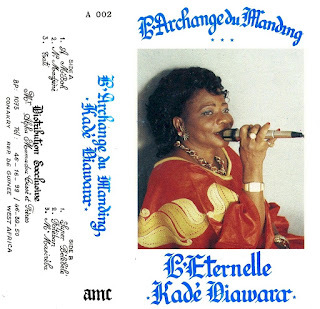 Download L'Eternelle Kadé Diawara as a zipped file here. From Independence in 1958 until the death of dictator Sekou Touré in 1984, there was only one record company in Guinea, the legendary Syliphone label. Not only that, all professional musicians in the country performed under the aegis of the Parti Démocratique de Guinée, the only legal political party. They were employed by the state, which provided musical instruments and venues. This could make for some uncomfortable situations, such as when when trumpet player Balla Onivogui fell afoul of some government bureaucrats in 1970 and was deposed as leader of his own group, Balla et ses Balladins, in favor of his sideman Pivi Moriba. 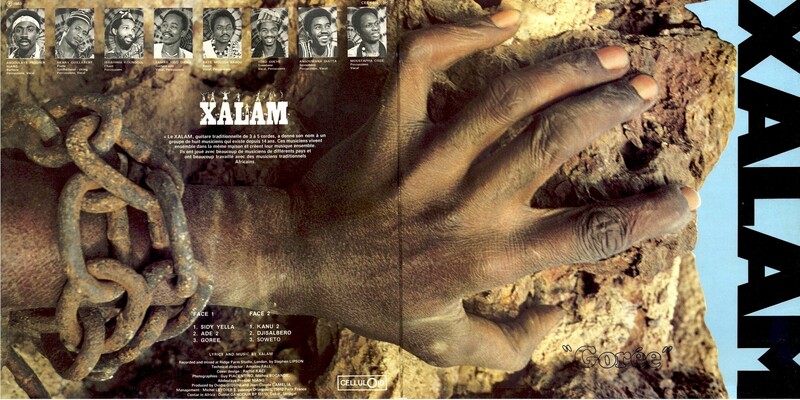 "Pivi et ses Balladins" recorded one album before the status quo ante was restored when Sekou Touré himself intervened. 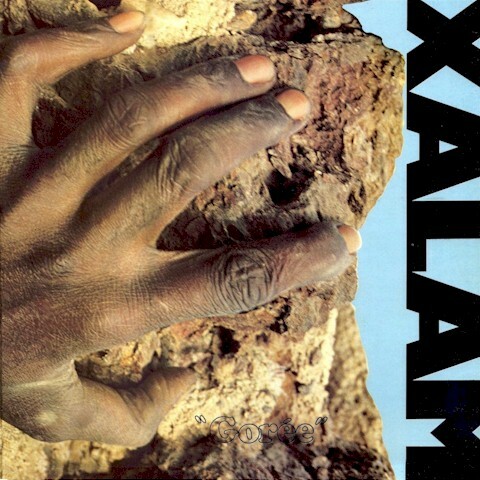 This all sounds like a very stifling state of affairs, but in fact during this period Guinea produced some of the most vital and original music to come out of the African continent. The official cultural policy was Authenticité, which rejected European influences and sought a return to African roots for inspiration (similar policies were in place in Mali, Tanzania and Congo [Zaïre] for a time). It's all documented in an excellent 2-CD compilation on the Sterns label, Authenticité: The Syliphone Years (STCD 3025-26, 2007), ably curated by Dr. Graeme Counsel, which samples the 83 LPs and 77 45s released by Syliphone. This Golden Age of Guinean music came to an end in 1984 when Sekou Touré died and Syliphone was scrapped. The many national and regional musical groups sponsored by the Ministry of Culture were cast to the vagaries of the free market. Some survived and still perform to this day. Many foundered. Taking the place of Syliphone were a number of independent labels, dealing now in cassettes rather than vinyl (I would assume cassettes also have gone by the wayside since, but who knows?). Guinean music, freed from political constraints, has tended more toward the slick sound that typifies modern African popular music, often utilizing synthesizers but still making use of traditional instruments like the kora and balafon. It is often recorded outside Guinea, for instance in Abidjan's JBZ Studios, as was today's selection, Yaya Bangoura's La Patience (D.D. United 96002, 1996). 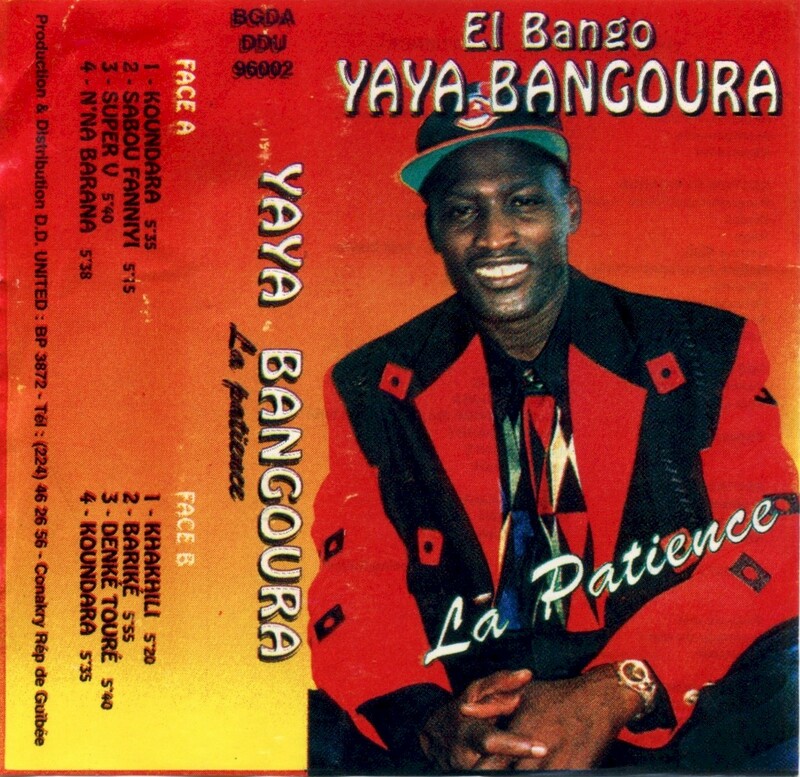 Bangoura typifies the "new" breed of Guinean musicians (that is, "new" as of 1996 - I confess to not having heard much recent music from that country, although I'm sure there's plenty). He was born in 1957 and became a teacher in 1982. However, he'd always had an interest in music and was a featured singer on Syli Authentique's 1976 album Dans l'Arène (Syliphone SLP 57). La Patience was his first solo recording effort, followed in short order by Kalanyi, Koule Yèlè and several tours which would take him to Europe, the United States and Canada. Crippling back problems have forced "El Bangou" to perform in a chair for some time. I read, however, that he recently arrived in the US for specialized medical care. Here's hoping that he will continue to entertain us for many more years! Download La Patience as a zipped file here.